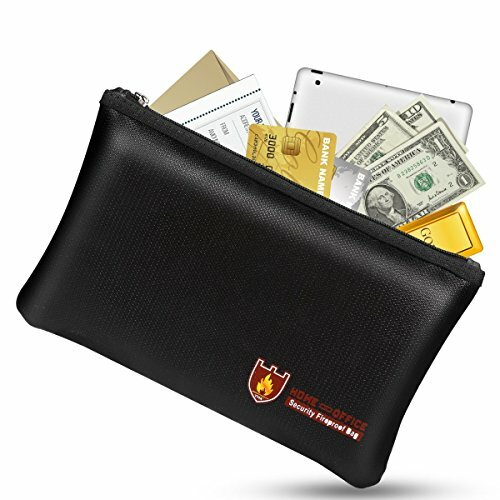 BEATS THEM ALL, WITH BEST IN CLASS SPECS 1 ASTM fire resistance certified (unlike other fire proof box and bags), 2 A design that doesn't bore or Scare you 3 Large size of 15" x 11.1" inches that fits a lot, including legal size documents 4 Lightweight and portable, at 250 grams 5 Silicon outer layer, Double layers of fire retardant fiberglass material construction, non-woven inner fabric - Doesn't smell, doesn't itch, increased heat protection. Look no further! 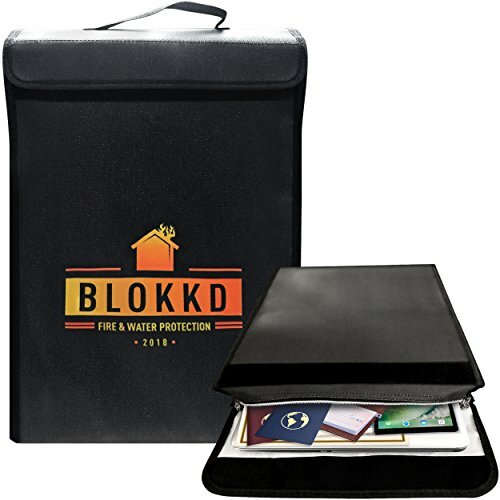 CERTIFIED and MEETS ASTM STANDARDS Finally, a fire-resistant document case that is CERTIFIED and meets ASTM fire resistance standards. ASTM is one of the world's largest international standards developing organizations. No baseless certificate-less untested tall claims of 2000 F and 3000 F Temperature! DESIGNER LOOKS! Aesthetic design in black and neon green. 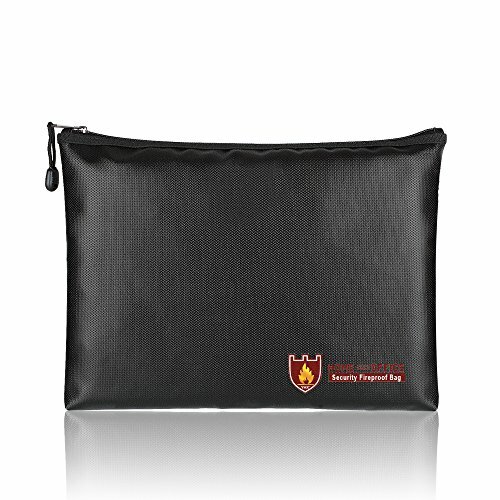 Who said fireproof bags must scary red or boring grey? This for sure is a bag to flaunt! FITS A LOT! 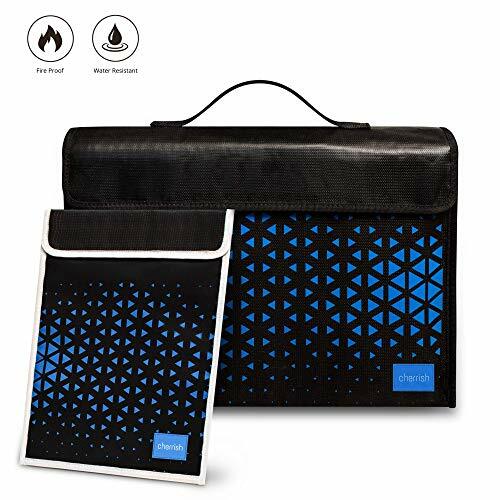 YET LIGHT, FLEXIBLE, FOLDABLE Large size of 15 x 11.1 inches fits legal documents, originals, folder, notebook, laptop, storage devices, money, jewelry, passport, birth certificate, legal size papers, photos, important bank and office documents, cash. currency and other valuables. 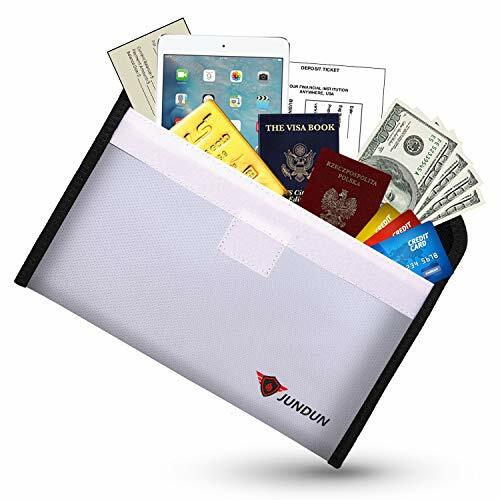 LIGHTWEIGHT at 250 grams - easy to hand carry and travel, easy to store in a backpack or lock in a file safe cabinet. SAFE. SOLID. SUPERIOR Silicone coated WATER-RESISTANT outer layer that DOESN'T SMELL. Double layer fiberglass for EXTRA HEAT INSULATION. Inner layer of Non-woven fabric, that DOESN'T ITCH. Large tight velcro band, for AIR TIGHT closure. 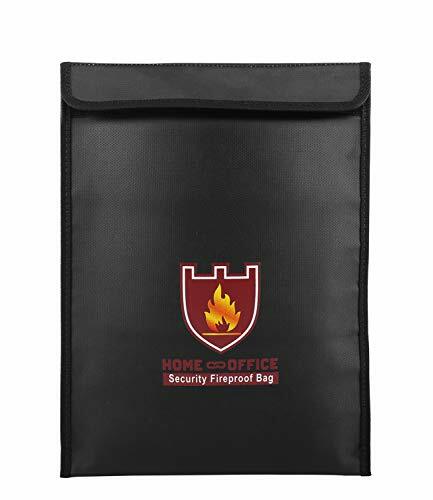 We recommend you use the fireproof bag together with a safe, for increased safety and security. 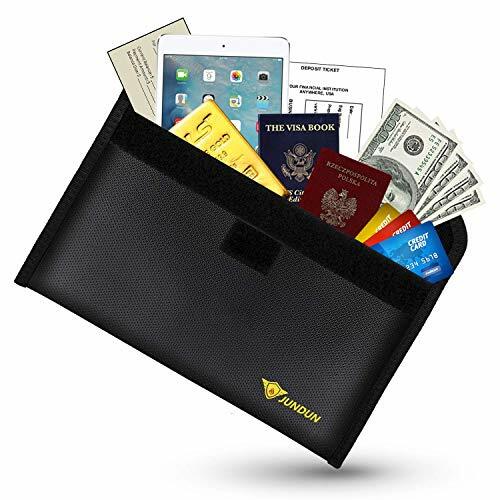 Keep your important documents and valuables organized while keeping them safe with this SentrySafe Tray Insert. 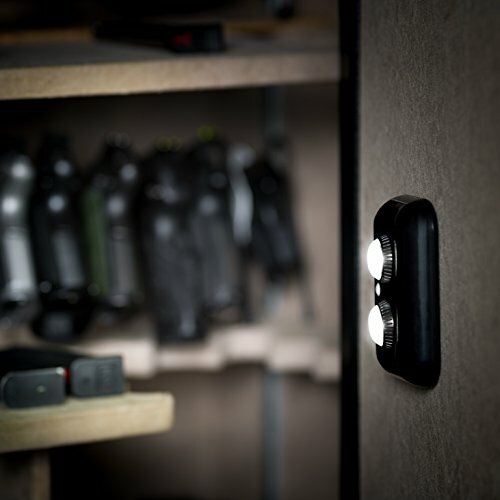 Adjustable to any height in your SentrySafe 0.8 or 1.2 cu. ft. firepooof safe this shelf helps you arrange your items so they are easy to find and not damaged during storage. 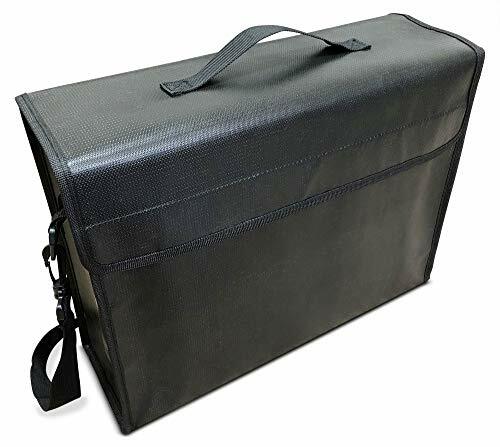 Cherrish Company is committed to manufacturing high quality, durable, functional, comfortable, healthy and reliable waterproof and flame proof document storage solutions and offering the best customer service to our customers! 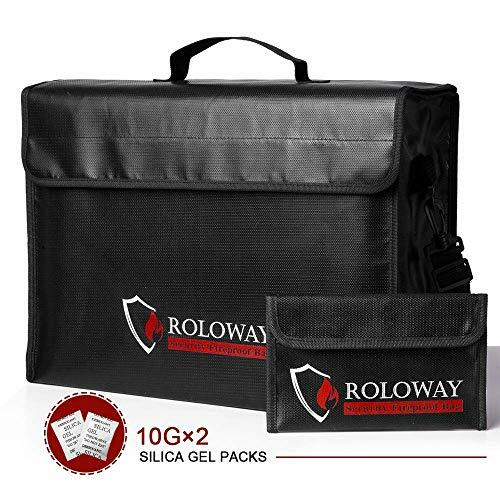 The double layer non-itchy silicone coated fiberglass material is dual protected by a high-quality super-strong velcro and zipper closure, offering real protection against fire, water, smoke or dust. Lifetime Satisfaction Guarantee - Backed with 100% Money Back Guarantee! 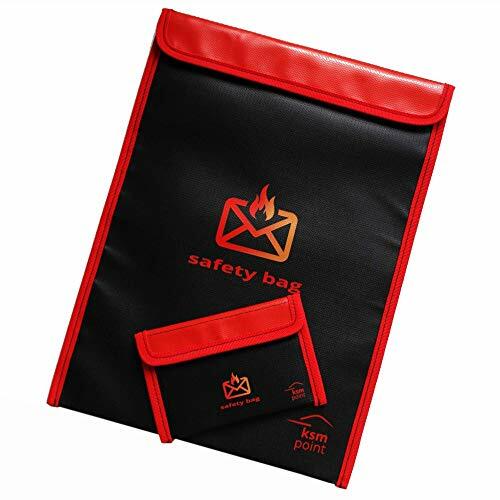 Warning: We do not take any responsibility and we are not liable for any damage caused through use of Cherrish Fireproof Bags, be it indirect, special, incidental or consequential damages (including but not limited to damages for loss of business, loss of profits, interruption or the like). 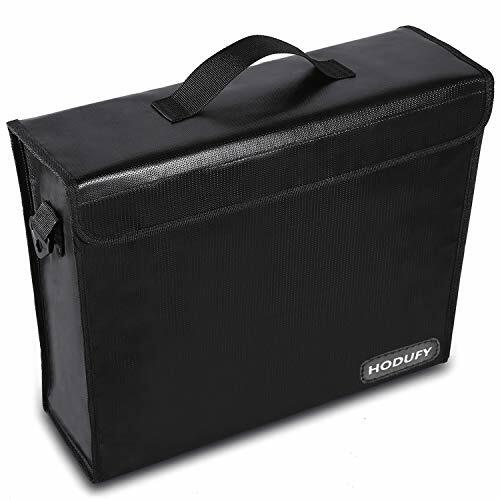 GENEROUS SIZES - The 16'' x 11'' x 3.35" bag fits all your items with plenty of room to spare. 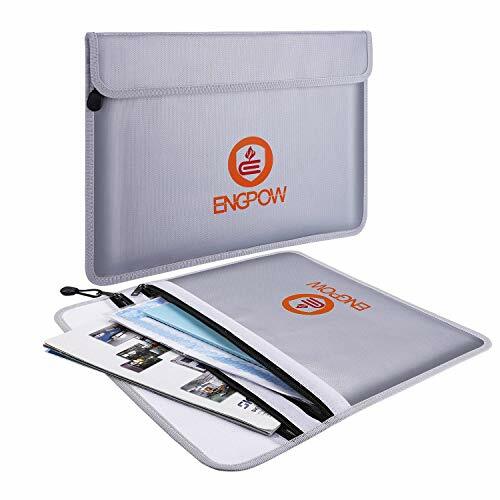 Our offer includes a 16'' x 11'' pouch that will secure your essential documents. STATE OF THE ART MATERIALS - Made from high quality non itchy silicon coated fiberglass. 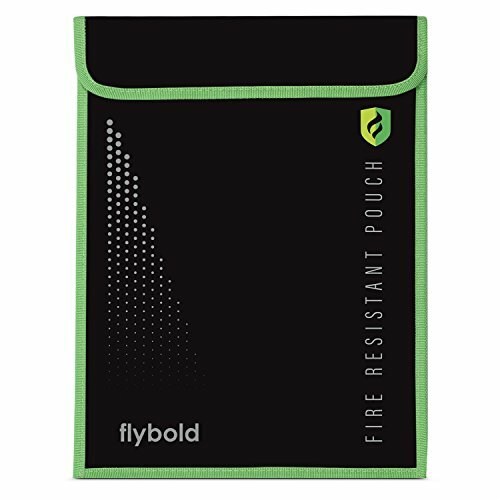 Reinforced with fire resistant thread in a perfectly aligned stitching pattern for additional safety. 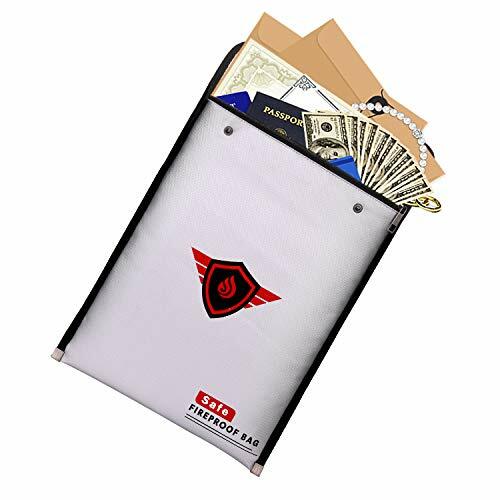 ENHANCED PROTECTION - Our lockable double metal zipper system is essential for the privacy of your documents. 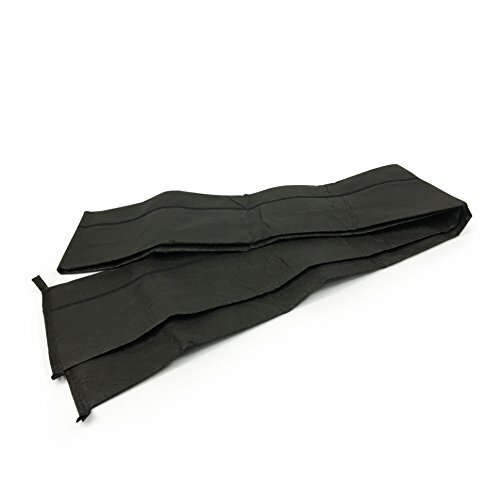 The airtight Velcro strip is also set to protect your items in wet conditions. 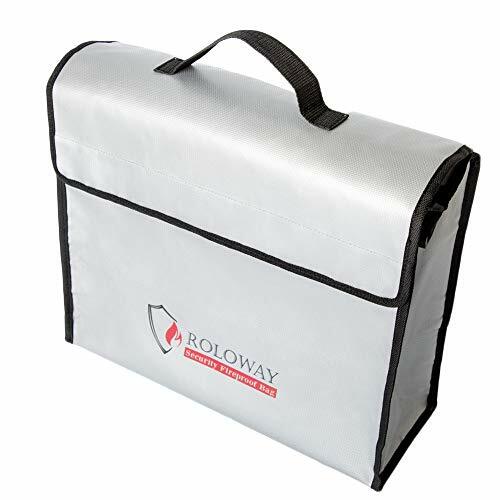 GRAB 'N GO DESIGN - Your belongings are now protected and easily accessible. 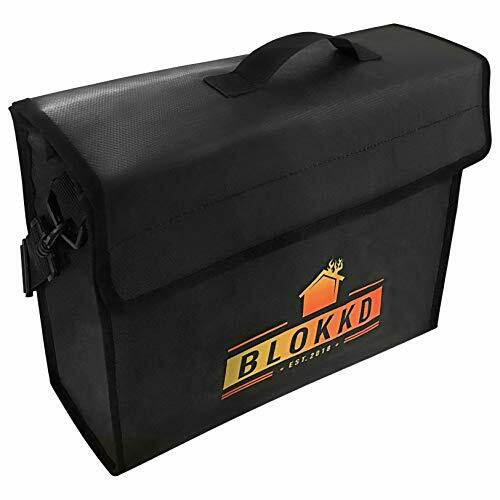 The adjustable strap and the durable handle make it easy for carrying in any situation. 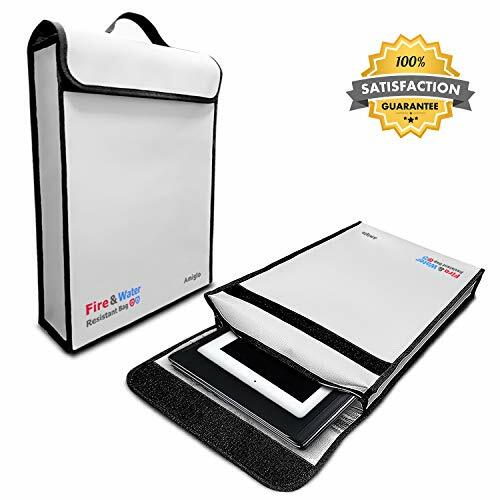 100% PURCHASE SATISFACTION GUARANTEE - If for any reason you don't love our fireproof accessories, let us know for a full refund. Our stocks are limited! Get yours before it's too late! 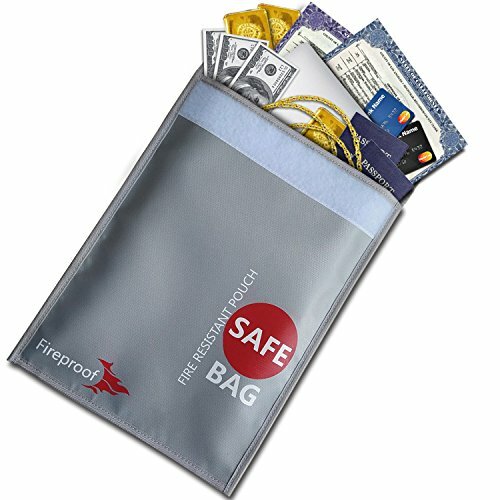 Protect cables: the Caphill cable organizer to completely protect cables for all devices such as cell phones, computers, laptops, mouse cable, etc. Prolong life of cables: the electronic organizer will help to prolong the life of your cable even the cable has been damaged. 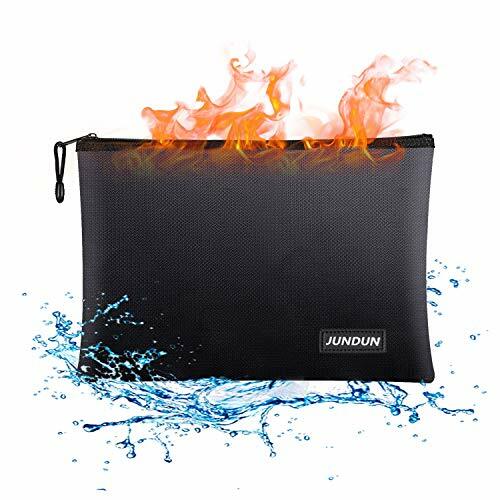 --- Fire&Waterproof material, protecting contents inside despite In any situation! ---Easy to carry and with a strap, You can free your hands. ---The perfect design is easy to bring lots of convenience. ---Keep your everything in order. 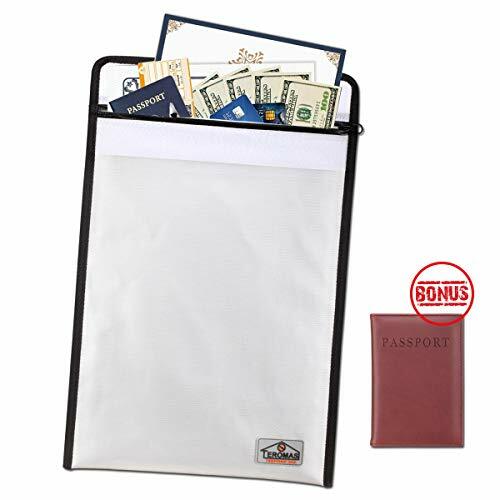 This document organizer is perfect for families. Will messy electronics or accessories drive you crazy? 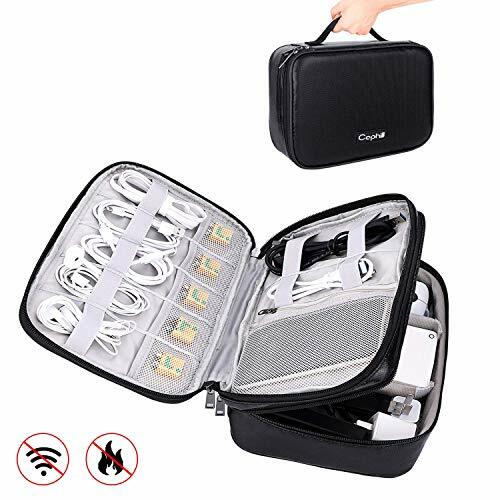 The messy electronic products are often damaged or even leaked, which is very unsafe.Use Caphill's best travel electronic storage bag, extra large storage space, double-layer design, keep all in your electronics accessories and various cables together. 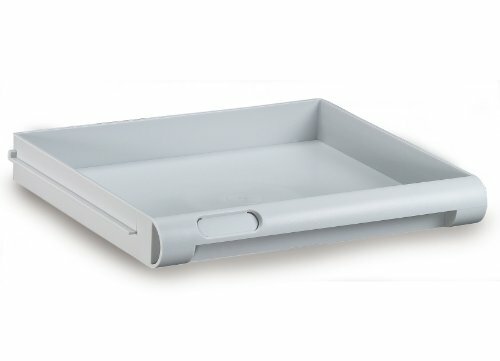 No more messy!It will keep your items separated and easy to be found. 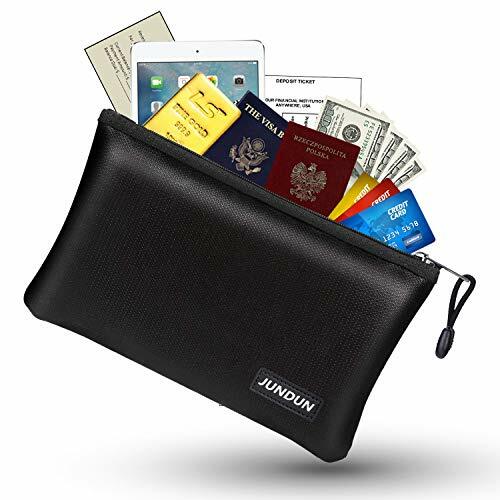 Warranty: The travel passport wallet with 2 year Warranty: Lungern GC provide friendly after-sale service and no risk refund for our customers. If you have any issue, please contact us and we will try out best to solve your issue! 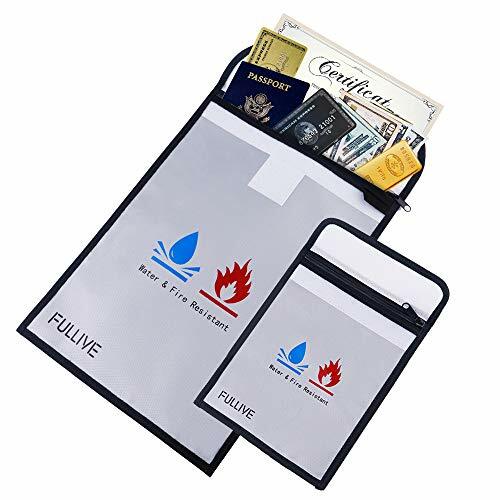 Different from other hard material fireproof packages, this new bag is soft, can be folded freely, and will not crease, so it is easy to take with you.